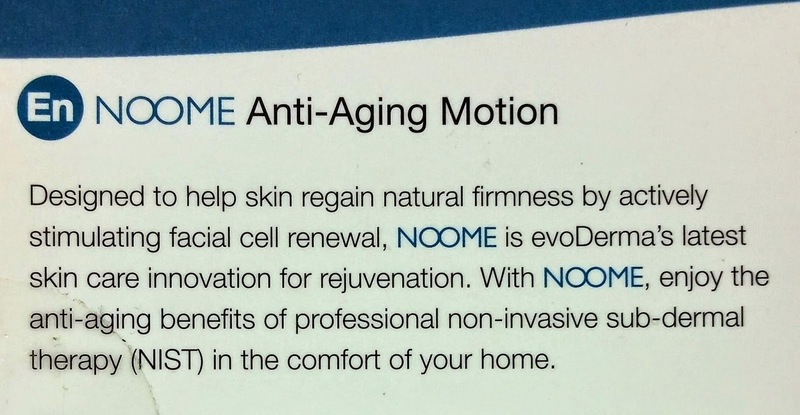 The Noome is clinically proven to rejuvenate the skin...it boosts the production of collagen and stimulates cell renewal to help smooth and prevent fine lines using NIST (Non-invasive sub-dermal therapy). NIST is a gentle vacuuming suction that feels amazing on your face...like a mini massage! I really look forward to using this every day...it relaxes tension in your facial muscles and just feels amazing. If you've ever heard of cupping, this is similar to that, but not as strong so it doesn't have the side effects. It comes with two cups...one soft and one firm. I started out with the soft one, but quickly moved to the firm one because I felt like I was getting more benefit from it. When I first start a treatment, I press the cup firmly on my face until I feel a little bit of suction, then I release the pressure on it and just gently glide it upwards on my face. You can also use it on your neck and decolletage. 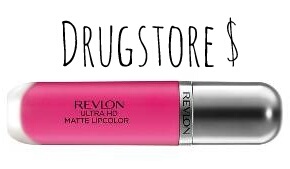 I've even heard of people using it on their lips to gain fullness! 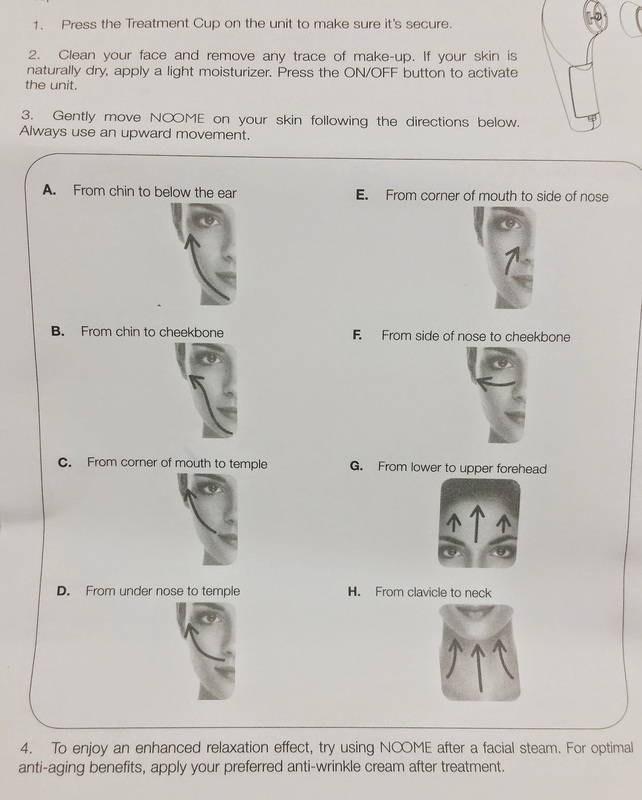 Inside the box, EvoDerma includes a user's guide that also shows the different suggested ways to move the device along your face. The directions say to use it after cleansing and before your moisturizer, but since I have dry skin, I find that it glides better if I use moisturizer first. Overall, I'm enjoying the Noome so much! 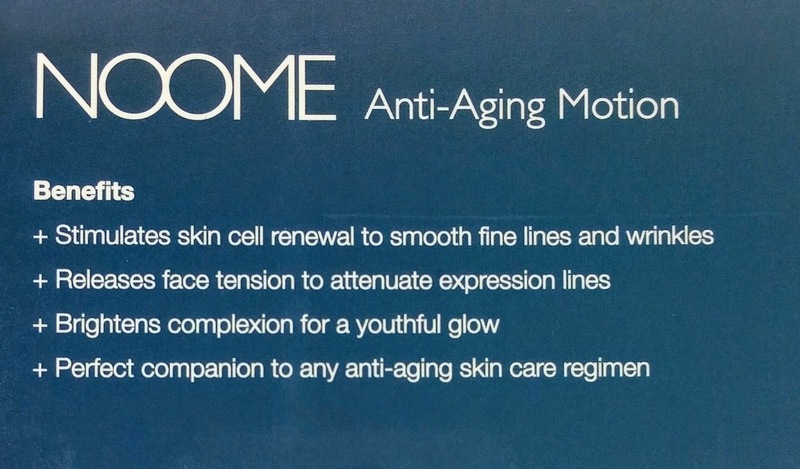 I'm looking forward to seeing if my fine lines and wrinkles will be reduced (most skin treatments take about a month to start seeing results when it comes to building collagen and reducing wrinkles). But I will say, I've noticed a definite tightening of my skin as well as increased blood flow that gives me a healthy glow. I've also gotten a lot of benefit from the massaging aspects of this device because I'm an anxious person by nature and it feels good to relax my facial muscles each night. 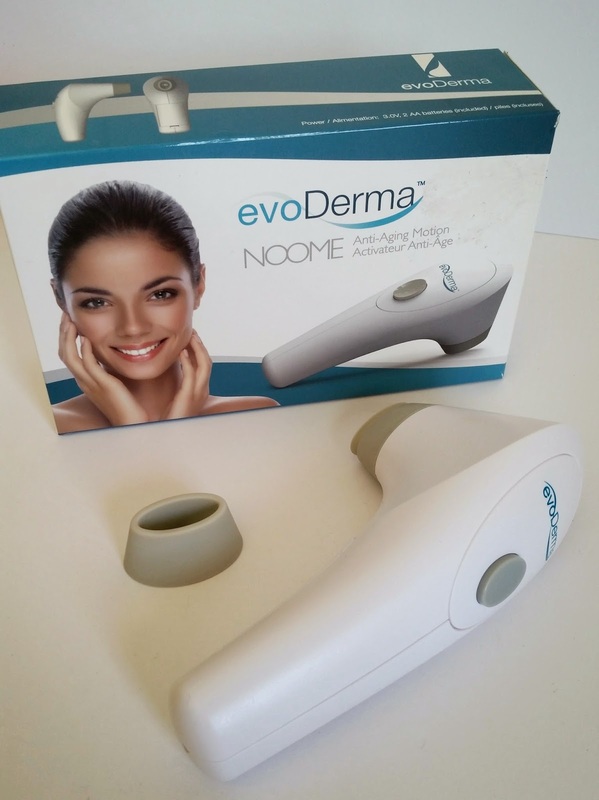 The Noome currently sells for $79, but EvoDerma has created a coupon code just for Budget Beauty Blog readers, so you can get the Noome home for only $35! The code is JENNOOME. This looks cool. I know what you mean about other devices. I wanted to get the Tria, even the price didn't scare me, but the idea of do-it-yourself laser? Scares the crap out of me! I'm going to give this a try- it's so cheap with your code, why not? I have nothing to lose. I have this device and I cannot figure out how to clean it properly. How important is it to get that tiny filter out and clean it?? And how does one do this? 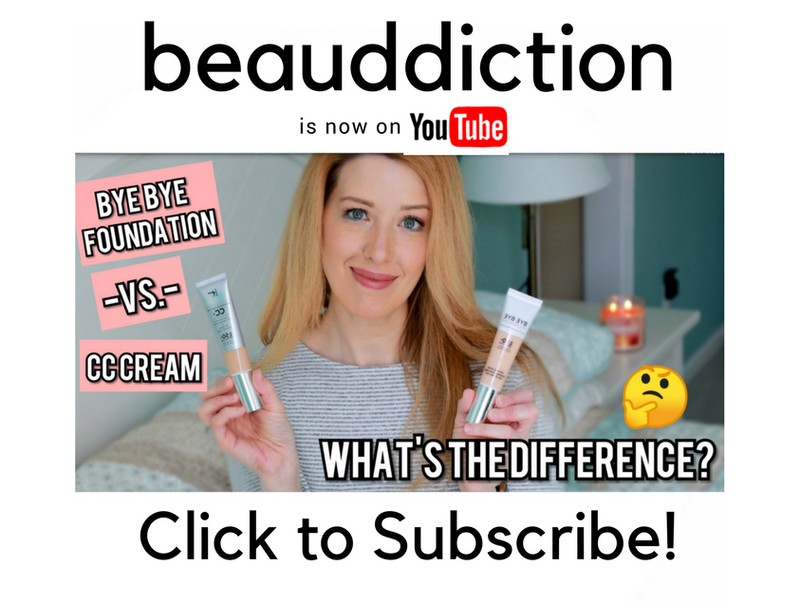 The Budget Beauty Blog- makeup reviews, skincare reviews, drugstore makeup, and dupes. 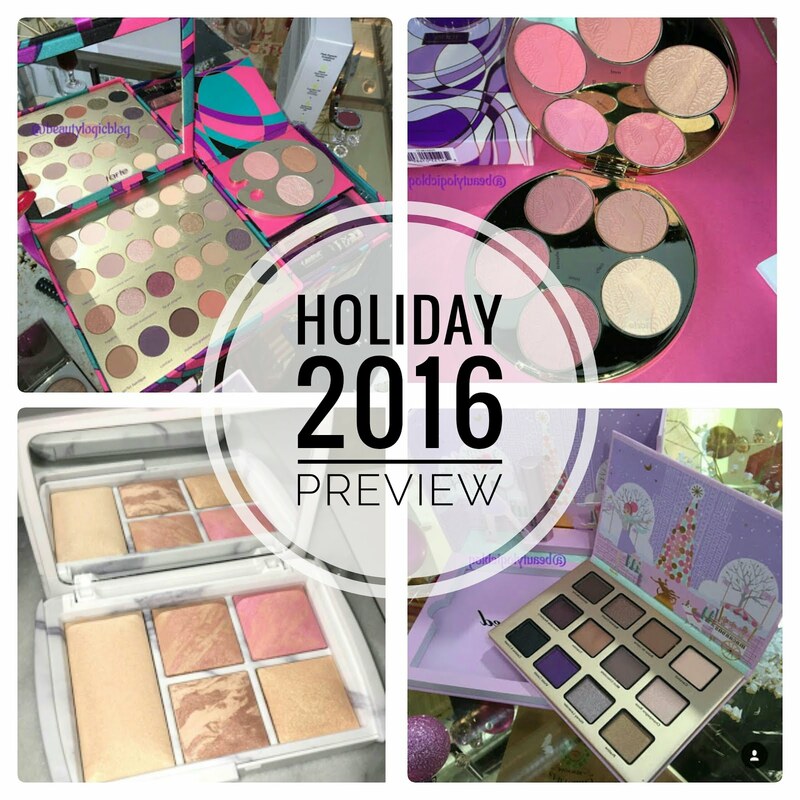 I created a makeup blog to share my love of makeup, skincare, hair products with other beauty junkies. I hope you'll stop by often!